Save the date: March 27th for a special sale ! Important -> I have some great news to share with you: this awesome black lace blouse that usually retails for $32.99 will be only $11.99 on 27th March only ! 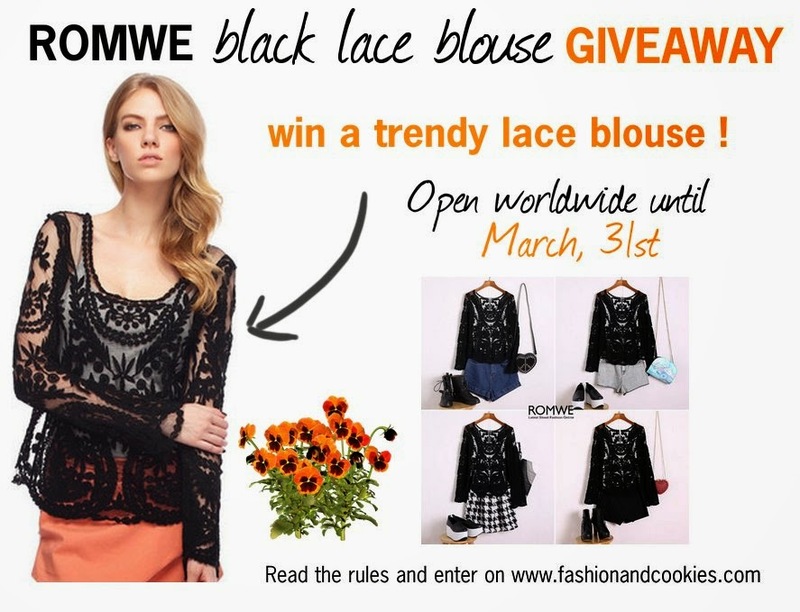 Moreover, with the following coupon: 10offblacklace you will save another 10% to buy the blouse, but this will only happen on March, 27th ! Why not taking advantage of this great offer ?. yaaay! yo quierooo yo yo yo! hi i get one question: how your spread your blog because i see your have many visitors can you show me some tips? Bel gieaway! :-) Grazie mille per essere passata sul mio blog! Ti andrebbe di visitare il mio ultimo post? Ho commentato la maglia sul sito!! Done! :) I've commented on Romwe product page. Thanks for this lovely giveaway and the blouse is so cute! I commented on the Romwe product page. Thanks for the giveaway, I commented on the product page. Gorgeous lace blouse, it loos so fine and expensive !! Commented with my Facebook account on the product page. I commented with this words: Già la amo! Lovely blouse, thanks so much for the lovely GA ! So chic! I really love this chic, classy and versatile blouse. It could be pair in different kind of bottoms. And I think it will goes best on black high waist leather skirt. I love the lace pattern on it too. raffle and FB name are: m ribeiro sorteios and I commented on the product page!